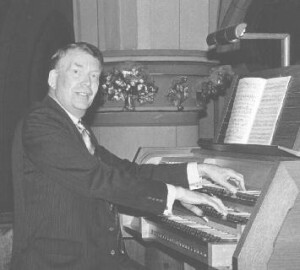 DAVID PATRICK was a pupil of and Assistant to Dr. Harold Darke at St. Michael’s, Cornhill, London from 1959 to 1966 during which time he gave many recitals and was awarded a Fellowship of Trinity College of Music, London. Since then he has firmly established himself as an organist, accompanist (organ, harpsichord and piano) and conductor in both the United Kingdom and abroad. He has performed on many occasions in Norway, Sweden, Denmark, Finland, Germany, France, Holland, Luxembourg, Austria, Italy and Switzerland (including the International Festivals at Lahti and Sorø). His performances in the United Kingdom have included those at London’s major Concert Halls, many Cathedrals and Leeds Town Hall. He has also broadcast and appeared on television and has made discs of organ music on important Swedish organs for the Swedish Company Opus 3. In the United Kingdom he has recorded for the Priory label. In 2000 he made organ concert tours of Germany and Italy and in 2001 and 2002 played in Sweden, Holland and the Czech Republic. In 2006 he made a return visit to play in the Valsesia Festival in Italy. He studied the piano in London with Lina Collins who was a pupil of Paderewski and Mathilde Verne, the latter being a pupil of Clara Schumann. He is an examiner and moderator for the Associated Board of the Royal Schools of Music, and has had many carols, organ editions and arrangements, song collections and recorder pieces published in recent years. In 1998 he founded his own publishing company, Fitzjohn Music Publications, which specialises in the publication of the more unusual music for piano solo, piano duet, piano trio (6 hands), piano quartet (8 hands on 2 pianos), organ solo, vocal solo and sacred choral music. David Patrick has become known as a successful choral conductor having conducted small and massed choirs in many places including the Royal Albert Hall in London. In 1973 he conducted the world premiere of John Joubert’s opera “The Prisoner” and has directed Courses and Summer Schools for church musicians in England, Sweden, Norway and Denmark. He is in constant demand as an adjudicator, having judged at numerous Festival Competitions throughout the United Kingdom, Ireland, and in Hong Kong (1986 and 1999). In 2007, 2008, 2011 and 2012 he was Chairman of the jury for the Norah Sande Award. He is an adjudicator for the British and International Federation of Festivals and a Fellow of the Royal Society of Arts. JOHN NOBLET studied singing under Heddle Nash at the Royal Manchester College of Music. He commenced his musical career teaching in secondary schools in Lancashire, and as Director of Music at a Grammar School in Nottingham. This was followed by an appointment as Senior Lecturer in Music at a Teacher Training College in the Midlands. Throughout his career he has played in orchestras, clarinet and saxophone. He has presented a local Radio programme, and has sung in a harmony group on BBC television. He has been an examiner of GCE Advanced Level Practicals for one of the country’s major examining boards. As a member of the British and International Federation of Festivals, John has adjudicated in the North of England and Scotland. This has included the UK National Accordion Championships. John has retired as Senior Lecturer in Music at University College Scarborough. Today, he continues to sing as a soloist in concerts, recitals and oratorios, and is a choral conductor and a church musician. He is very pleased to have been invited to adjudicate at the Wirral Festival of Music, Speech and Drama. GILLIAN JOHNSTON is a graduate of the Guildhall School of Music and Drama. After a period of freelance playing as a bassoonist, Gill turned her attention to teaching. She built up an enviable instrumental department at Stratford House School in Bromley and started to organise holiday courses for the players. With her husband David, then Head of Woodwind for the London Borough of Barnet, she created Harpenden Musicale (www.musicale.co.uk), now probably the country’s largest private community music centre with over 1000 pupils a week ranging from Monkey Music for babies to enthusiastic pupils well past retirement age. Musicale also embraces ‘Musicale Holidays’ and has a fully stocked music shop, specialising in the education market. 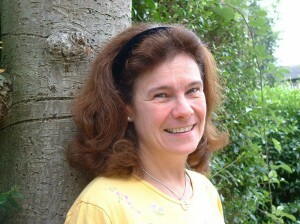 Gill is co-founder of the National Children’s Wind and Chamber Orchestras (www.ncwo.org.uk), running courses every Easter at Queenswood School in Hertfordshire, followed by concerts at home and abroad. Gill is passionately interested in encouraging children to ‘make music’ and thoroughly enjoys adjudicating at festivals all over the country. She has four children, all of whom are professional musicians, Guy a BBC Young Musician, Magnus a BBC New Generation Artist, Rupert a Shell/LSO Gerald McDonald winner and Izzy of Simon Cowell’s Band ‘Escala’. When not busy with their own projects, Gill and David enjoy following their children’s musical exploits both at home and abroad.